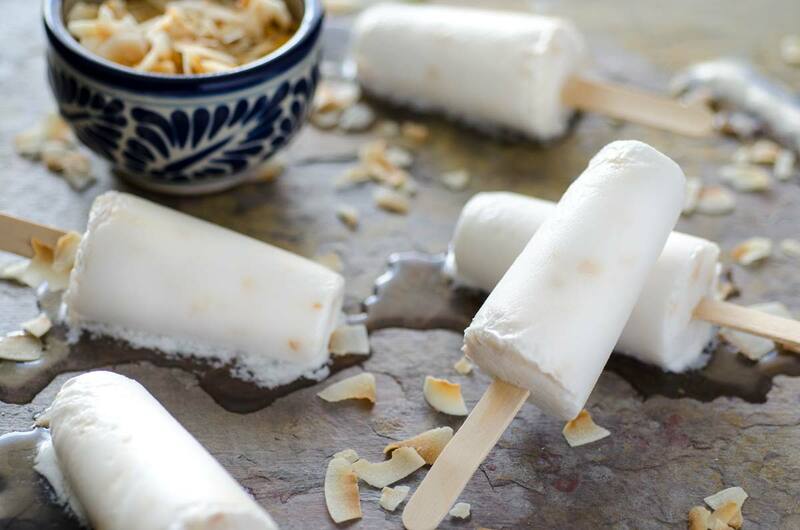 This might be the best paleta recipe I’ve ever made, and it’s a boozy popsicle! 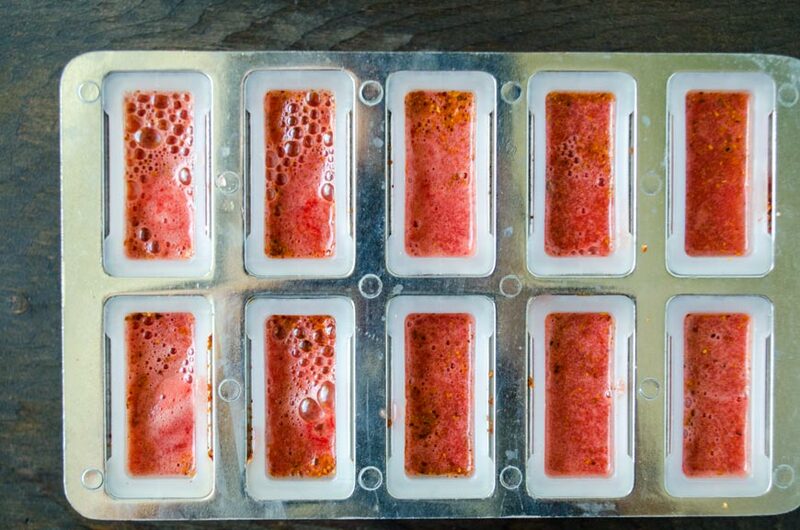 This watermelon paleta shot is a combination of sweet watermelon, lime juice, tequila, and chile powder. 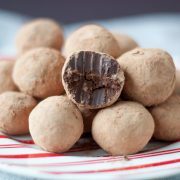 Just thinking about it makes my mouth water. candy. So I’ve taken this concept and turned it into a deliciously spicy watermelon popsicle. 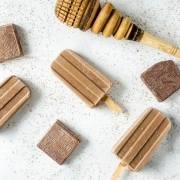 This is the first time I’ve ever tried to make a boozy popsicle, but with this heat it sounds like the perfect solution to a stressful and hot day. 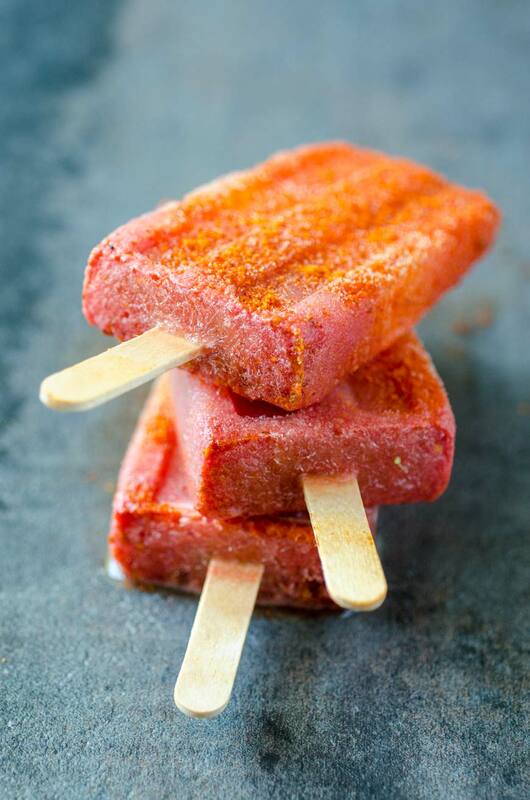 They would also be perfect for an adult pool party or a day at the beach, but be sure to label them as adult popsicles otherwise your little ones might get a tummy ache. We recently had our baby boy’s first birthday party and I gave some of our guest this watermelon paleta shot to try and they loved it. I hardly tasted the tequila in there, but they assured me that they definitely felt it.
. 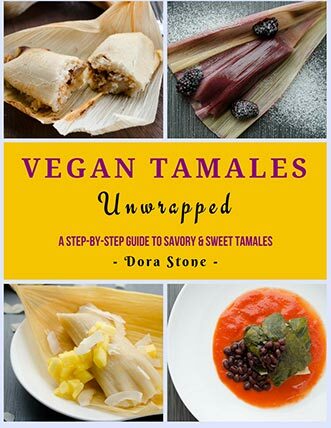 Even though it’s not a vegan cookbook, a lot of the recipes are vegan or easily adaptable. So far we’ve made strawberry, coconut, corn, Mexican chocolate, banana-pecan, cucumber-chile, and mango-chile paletas. I’m excited to make these over and over again for the rest of the summer. I used my favorite Corralejo Tequila, but you can use any tequila you want. 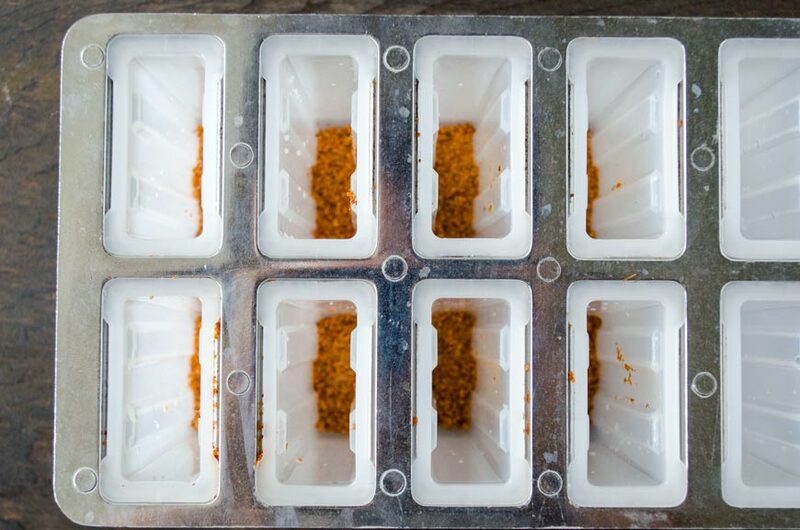 Because of the alcohol it is best to freeze these overnight. If your watermelon is super sweet, you can reduce the amount of sugar. 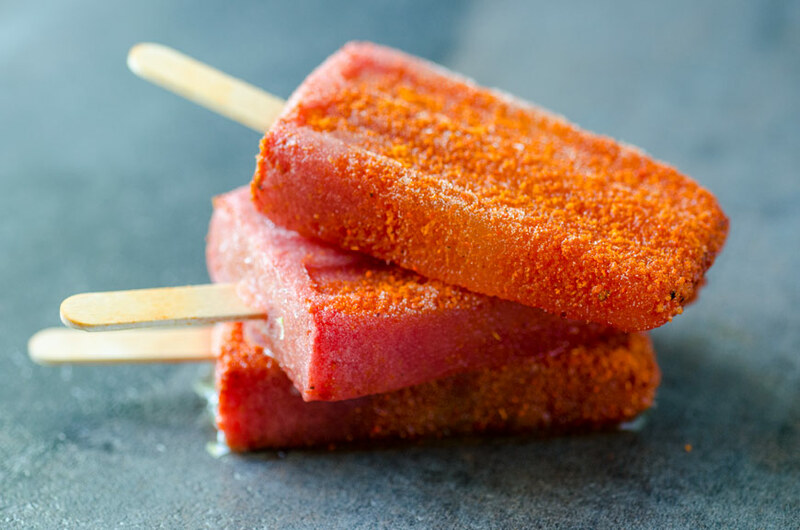 This watermelon paleta shot is a combination of sweet watermelon, lime juice, tequila, and chile powder. So good it makes my mouth water! 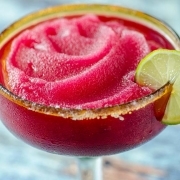 Place the watermelon, tequila, lime juice, and sugar in the blender and process until smooth. Place 1 tsp. 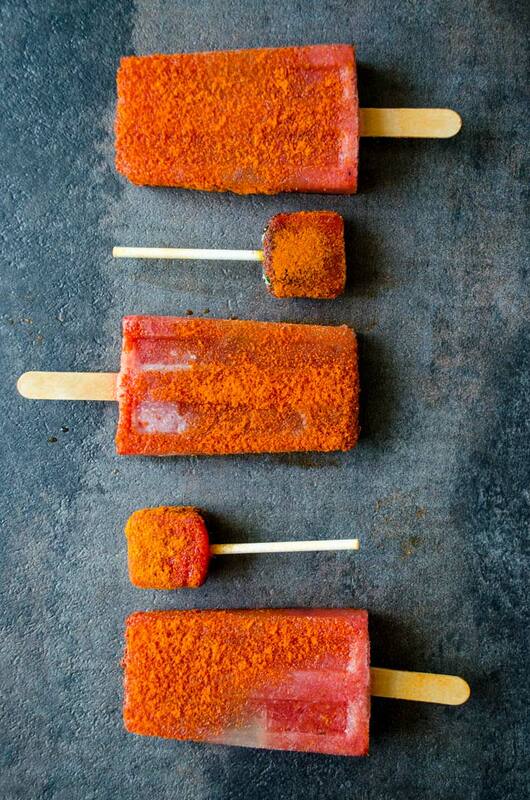 of chile powder at the bottom of each popsicle mold. 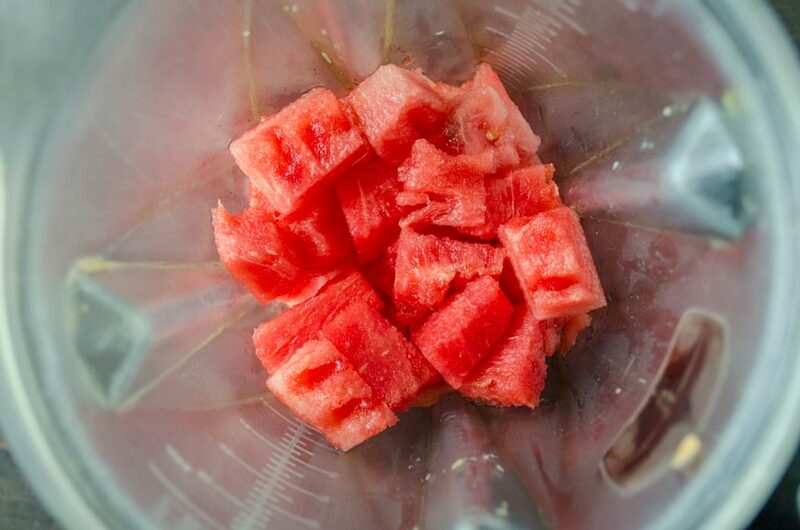 Pour in watermelon mixture into molds, snap on lids, insert popsicle sticks, and freeze overnight. 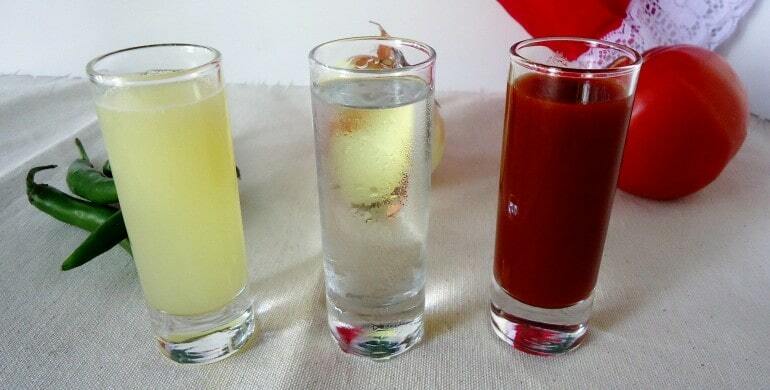 If tequila isn’t really your thing or you want these to be less alcoholic use only 1/3 of a cup of tequila. I used my favorite Corralejo Tequila, but you can use any tequila you want. 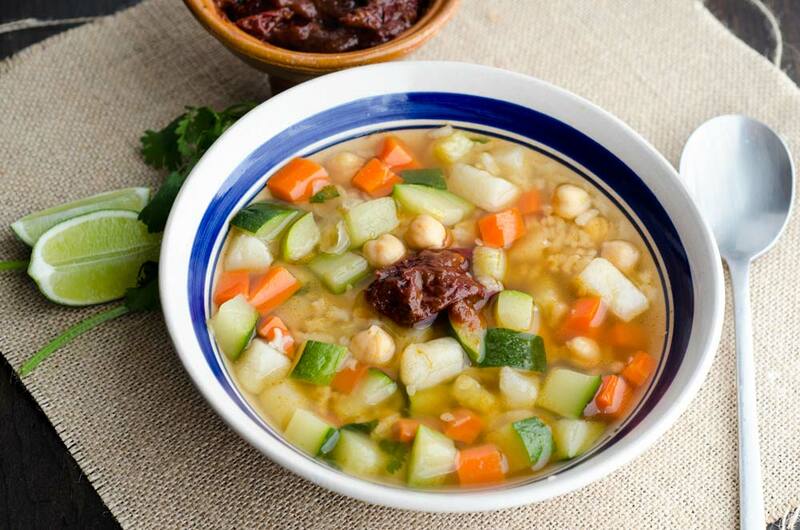 We prefer Tajin chile powder for these. If your watermelon is super sweet, you can reduce the amount of sugar. 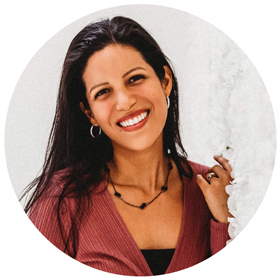 07/20/2018 /0 Comments/by Dora S.